A fish & chip shop simulator. Become the very best at cooking-up deep fried golden delights. 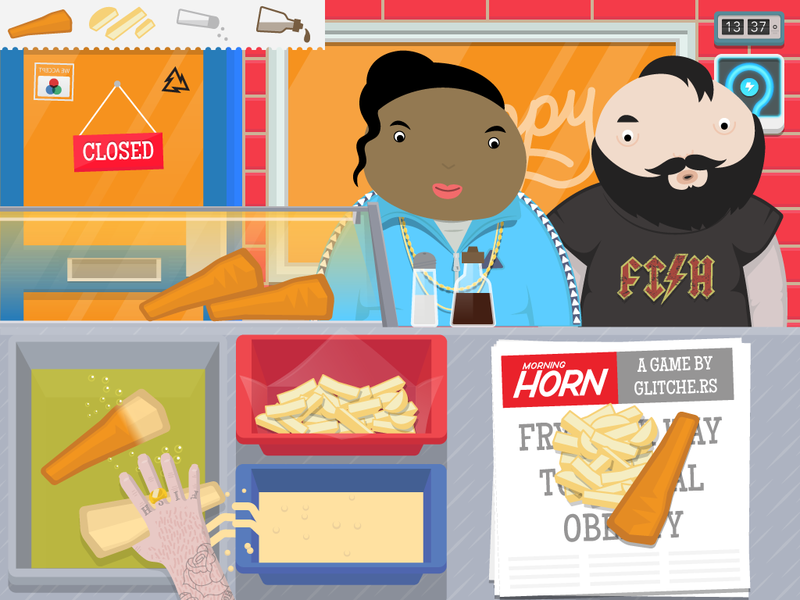 Players serve orders to hungry customers and manage the day-to-day challenges that come with running your very own ‘Chippy’. Chippy pays homage to the fish & chip shop: a Great British institution. 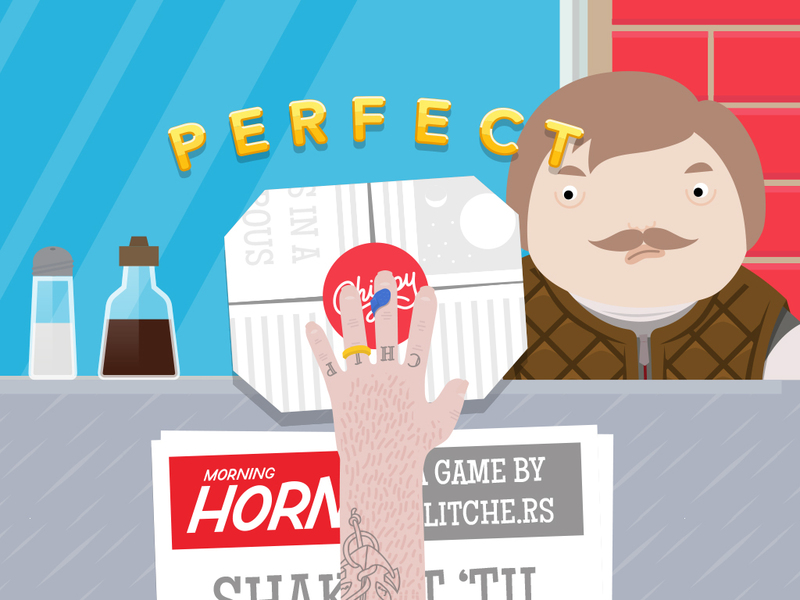 How do you make a gloriously charming, fun game when your subject matter is spectacularly mundane? In a twisted way, that’s what drew us to creating a simulator game around one of the staples of the British high street. Chippy oozes Glitchers personality. The clothes, the slapstick movement and character design all added to making it something of a unique playing experience. Tattooed hands, tabloids and character details such as customers’ eyes tracking your every move and killing shop flies by hurling objects at them, brought the game to life in a way unique to our fun and high energy sense of humour. Although Chippy tasks seem simple enough at first, time management is key to a player’s success (and practice makes perfect). The ability to manage steadily increasing chaos is a key element that drives players to come back for more, improving their Chippy skills. With reputation the game’s core currency, the more orders you fulfil correctly, the higher it becomes. As difficulty and complexity steadily increases, your multitasking skills better be on point or you’ll risk plumes of black smoke from burnt food, a bad score card from the health inspector or angry customers storming out of the shop.